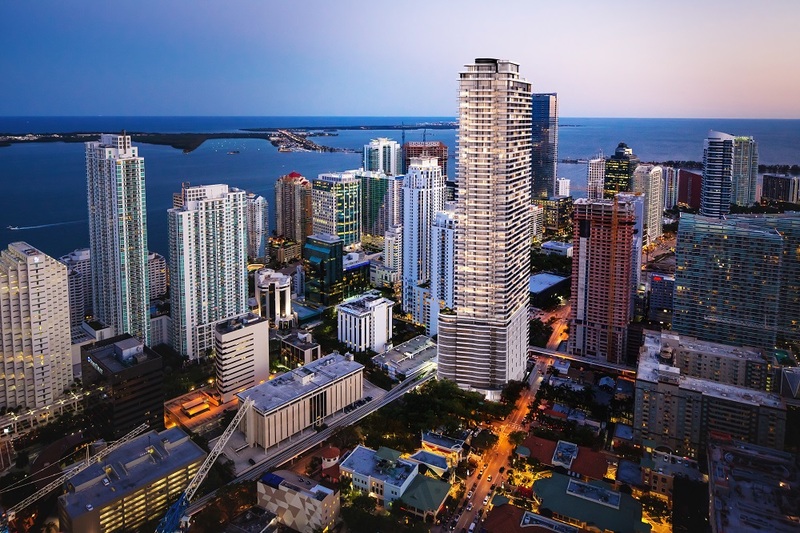 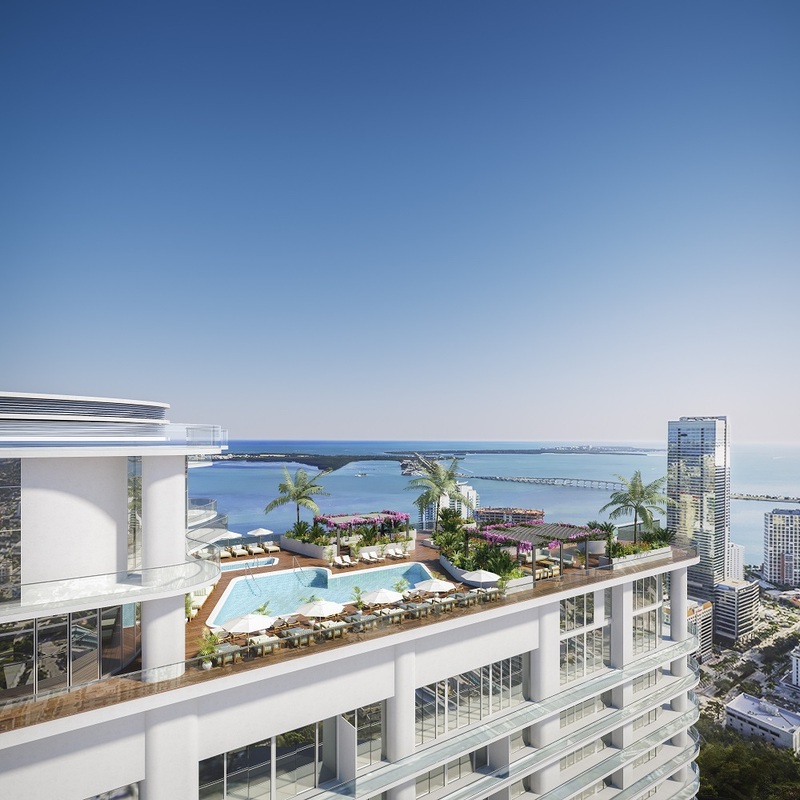 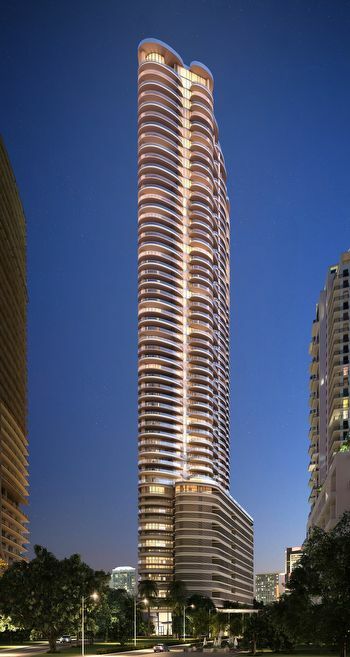 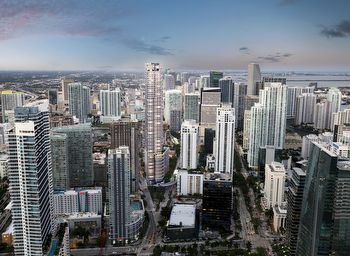 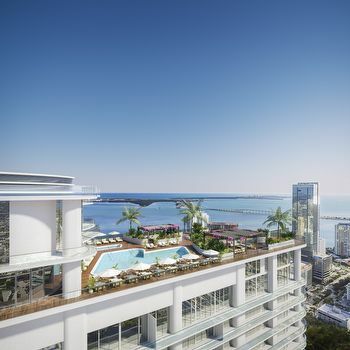 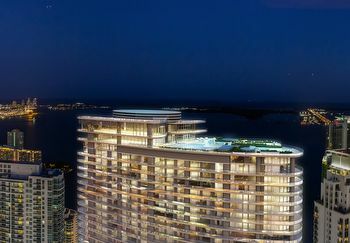 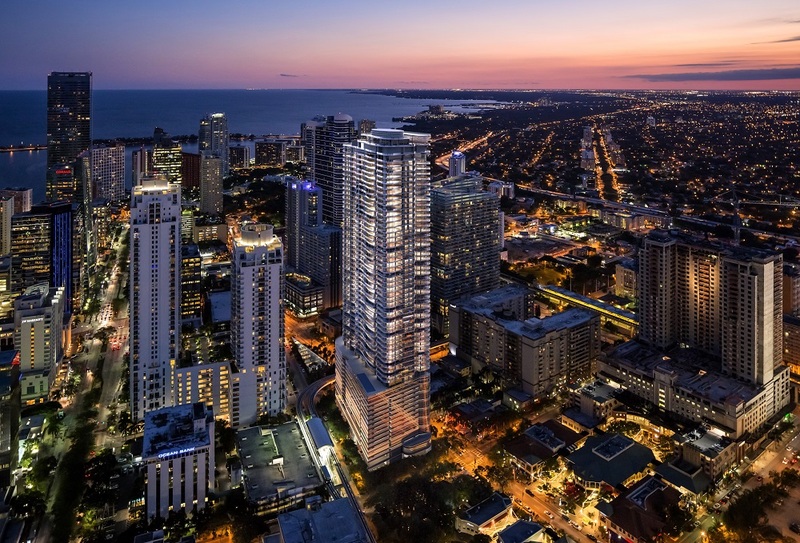 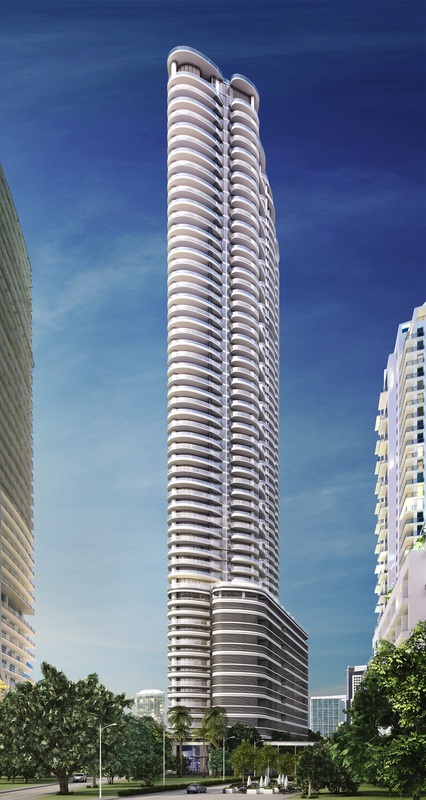 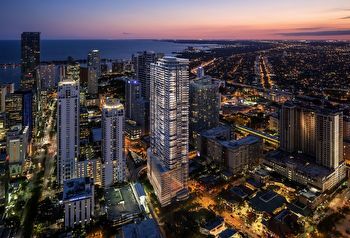 The Brickell Flatiron condo in Miami rises 65 stories into the Miami skyline. You'll find more than 350 Miami condos for sale within this building that bears a strong resemblance to New York's historic Flatiron Building in Manhattan. 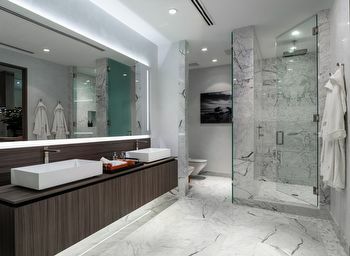 Keep the body and mind in good shape by using the Brickell Flatiron spa and its various services. 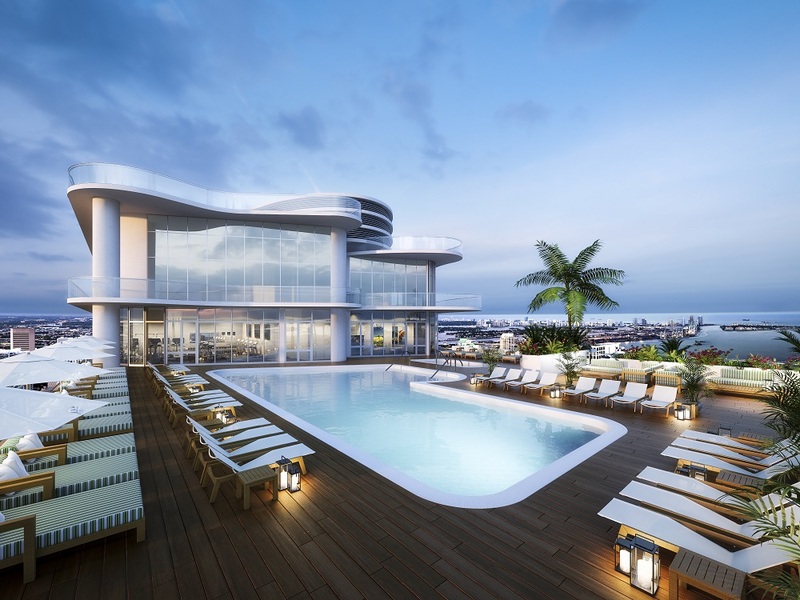 Unwind by the pool or visit the eighteenth floor where you'll discover another pool designed for swimming laps in addition to play areas for children, a business center, conference rooms and much more. 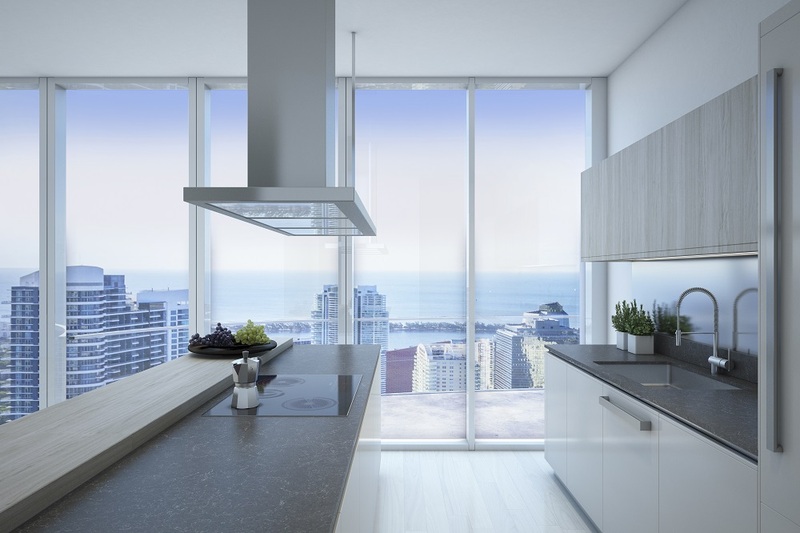 Italian influences in the bathrooms and kitchens, stainless steel appliances and wide balconies are some of the residential features within the residences. 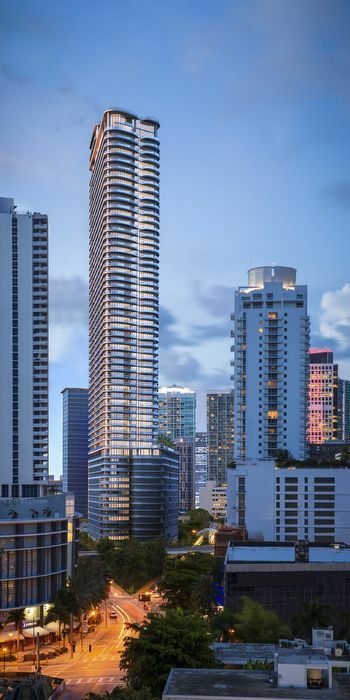 The Brickell Flatiron Link is a cutting edge feature where residents of the building can receive a variety of services from the comfort of their condo home just by pressing a few buttons. 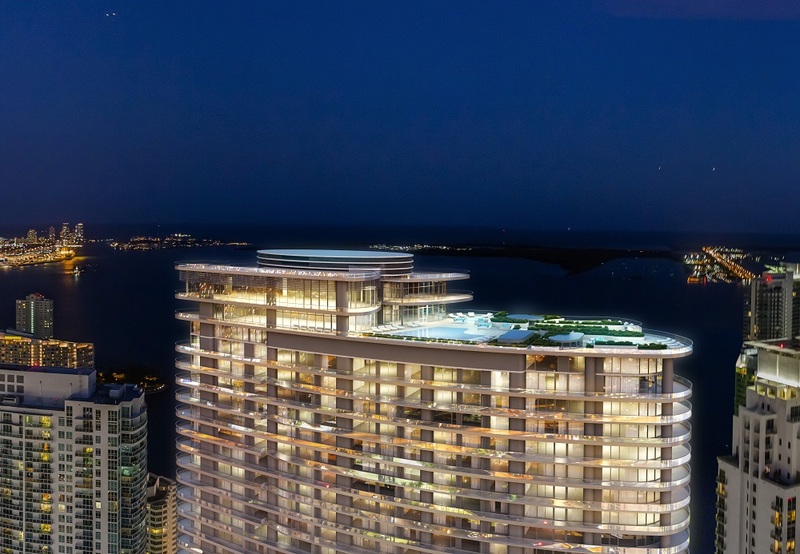 At Mary Brickell Village there is a tremendous amount of dining and shopping and there is also a Publix Supermarket so you can purchase whatever groceries you might need while remaining near your Brickell Flatiron condo residence. 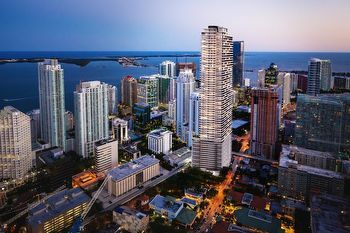 Downtown Miami has a wealth of sights and if you head over to Coconut Grove or Coral Gables the options only increase further.